On not being a Freemason – For the fainthearted . . . 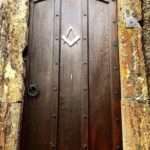 The Freemasons: not a topic often encountered in conversation in England. The opinion was that people joined for the sake of friendship. I was inclined to agree. No. Nor am I a member of the Royal Antediluvian Order of Buffaloes, any golf club, any political party, any old school network, or any alumni association. In fact, I’m not a member of anything. Being a Marxist of the Groucho variety, I would not wish to belong to any club that would have me as a member. Rolling up trouser legs and bearing one’s left breast, or whatever the procedure is, has never appealed to me. (You can buy a complete encyclopedia of Masonry if you are interested in such things). Back in the 1980s, I asked an acquaintance why he belonged to the Order. He had been a young bank clerk in the days when they would be transferred around the country at a whim; the Lodge provided him with friendship wherever he went. The Lodge for him was somewhere for convivial company. 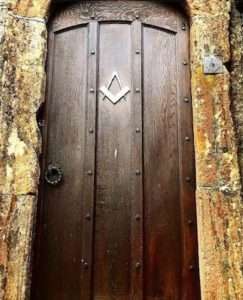 The Masons always seemed a group of middle class, middle aged men, the embodiment of social conservatism; not a group that could be construed as in any way subversive. But, as I read it, within the constitution of Masonry there is provision for freedom of religious conscience; people are expected to adhere faithfully to their religious principles, but those principles are not prescribed – one can have very different religious beliefs from one’s brethren yet still remain within the discipline of the Lodge. Freethinkers like the Masons, no matter how conservative they might be, are a challenge to those who would seek to prescribe what others might think. Perhaps the Masons with their funny rituals and their odd ways and their old-fashioned values offer a much healthier way of living than the self-centred materialism that has taken over in a post-Christian age. The values of brotherhood and charity, even if those are primarily within the Order, and living by one’s principles, are maybe not such a bad rule of life. Providing friendship in an atomised society cannot be a bad thing. No, I am not a Freemason, nor shall I ever be, but I can understand why some people would join. Graduate member of the Uni of Dublin ?.